Platform | RubrYc Therapeutics, Inc. Biological function is predominantly processed through the interfaces of interacting proteins. These interactions are diverse and dynamic, presenting a daunting challenge at the interface-ome. That’s where RubrYc’s platform comes in. 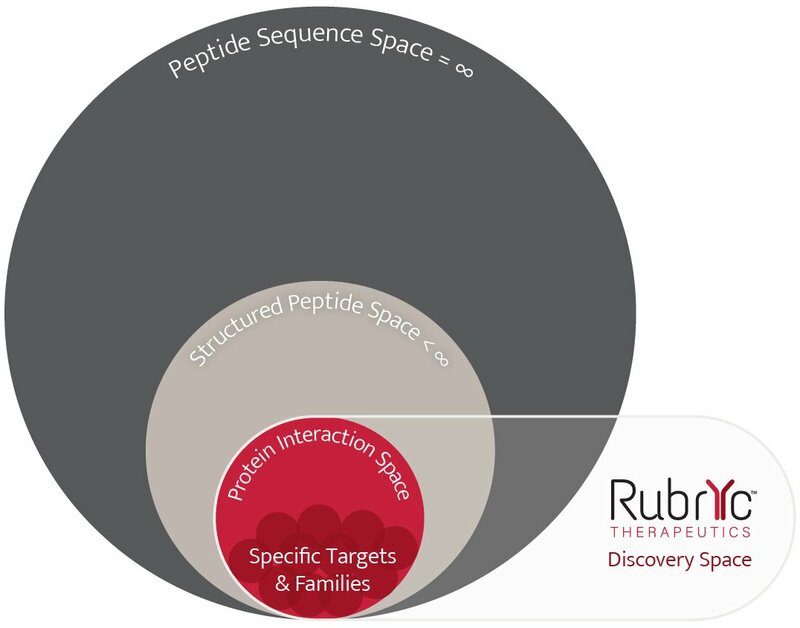 RubrYc’s molecular libraries focus on the key regions of the human proteome that define therapeutically relevant protein binding interfaces. The insights gained from studies using these interface-enriched libraries provide unique perspective in RubrYc’s antibody discovery programs. Combining massively parallel interrogation of diverse molecular libraries, with proprietary machine learning technology, RubrYc decodes the key interactions driving drug activity. Additionally, these key interactions inform molecular library design, supporting a continuous cycle of platform improvement and an expansive fund of knowledge. This interface-targeted and information-driven approach allows RubrYc to accelerate pre-clinical therapeutic antibody development, while minimizing many of the risks inherent in drug discovery. With literally infinite possibilities of peptide sequence interactions, there is a pressing need to focus on protein interactions that are relevant to discovery of biotherapeutics. 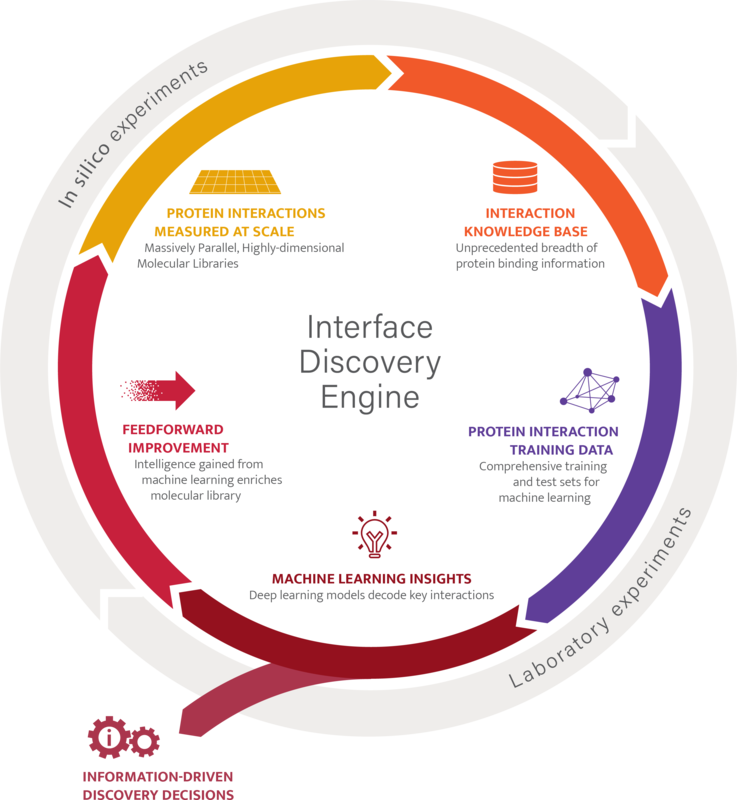 With RubrYc’s Discovery Engine, actionable interface insights are recognized and stand out from the crowded universe of peptide sequence space. Several high-impact applications, based exclusively on RubrYc’s high-performance Discovery Engine, enable unrivalled speed and efficiency in antibody discovery. What sets RubrYc apart are its diverse chemical libraries, developed and supplied by HealthTell. We are the interface-ome company, targeting important binding sites for therapeutics with single residue resolution of binding events. Our scientists have been engaged in preclinical discovery programs in oncology and autoimmune diseases. As we continue to improve our platform, we are using new tools in these programs to support real-time, data-driven decision-making. The functional performance of any given therapy (therapeutic effect, adverse event profile) depends explicitly on drug-target interface interactions. The form or shape of our therapeutic candidates ensures a higher probability of specified performance—Function Follows Form.